Spamalot opens the Normal Summer Musicals this weekend. The show won the 2005 Tony Award for Best Musical. Spamalot features a gay Lancelot, an over-sexed Lady of the Lake, a befuddled King Arthur and knights who would rather tap dance than joust with a sword. There are tasteless jokes and side-splitting laughs, but director Becky Griffin said the show's humor has been toned down for a high school cast and general audience. Still, she says, the production keeps the spirit of Monty Python's zany humor. "When you see the show on Broadway it's very irreverent and they take it to the nth degree. We've dialed that back, but I think we stayed true to the Monty Python spirit, which is silliness. I think that is more important than being crass," Griffin said on GLT's Sound Ideas. Both the original film and the musical it's based on has garnered a cult following. Griffin said the sardonic humor in the musical is as relevant as it was in the 70s film. "It has political things in it that are as topical now as in the 70s," Griffin said. "This idea that there is no true democracy and everything is being imposed on the people whether they want it or not. Some people might find that a topical today." Unlike the summer musicals over the past few years, Spamalot contains several dance numbers and "our students love it," Griffin said. The show is top-heavy on male roles. Griffin said she saw this production as a vehicle for the increasing number of young male actors in the summer theater program. "Many are graduating seniors and we wanted to give them a showcase," Griffin said. 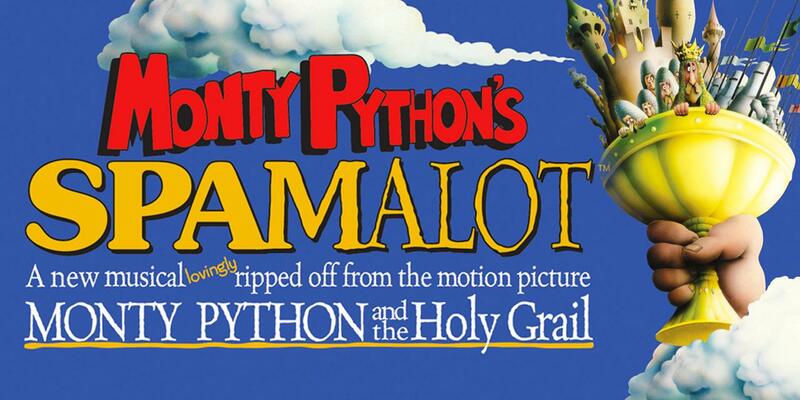 Spamalot is on stage at the Connie Link Amphiteatre June 8-11 and June 15-18. Performances are at 7:30 p.m.
Footloose will be the second summer musical sponsored by the Normal Parks & Recreation Department, in July. Footloose, a coming of age story also based on a popular film, is the second summer musical sponsored by Normal Parks & Recreation this season. It will be on stage at the Connie Link Amphitheatre July 13-16 and July 20-23. Tickets are $5 for adults, $3 for children and free for senior citizens and children under the age of five. Bring along a lawn chair or blanket. Listen to the interview and hear musical excerpts from Spamalot.